This topic contains 1 reply, has 2 voices, and was last updated by Rhoderic 6 days, 19 hours ago. So with my Sisters of Battle getting some much needed reinforcements last week I decided that it was time to provide the ancient forces of the Necrontyr with some heavy support in preparation for my refight of 1997’s ‘Massacre at Sanctuary 101’. 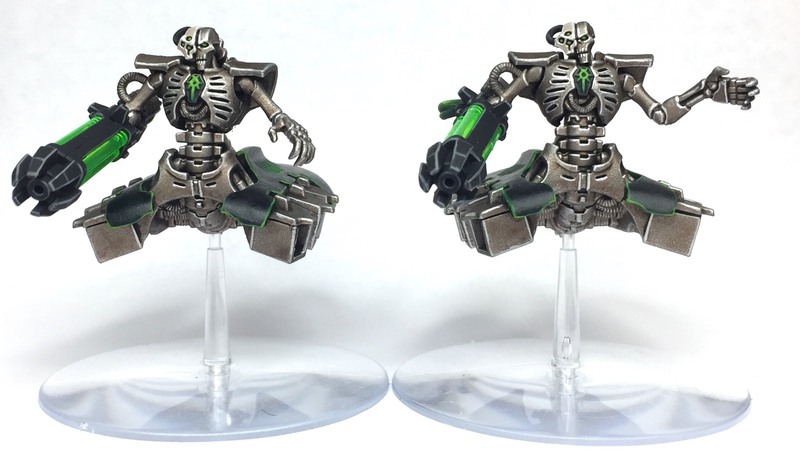 I’ve always loved the floating horrors that are Necron Destroyers, so I decided to finally crack on and Male some of these lethal robots for my growing force. 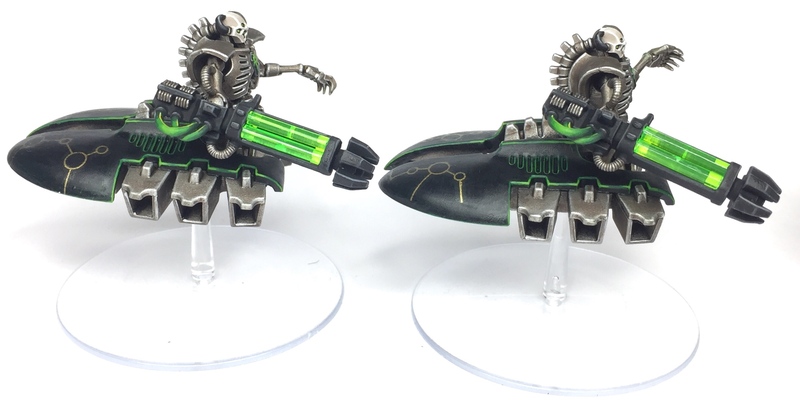 These lethal killers should provide my relatively slow moving Necron infantry with some fast-moving, highly-mobile firepower. 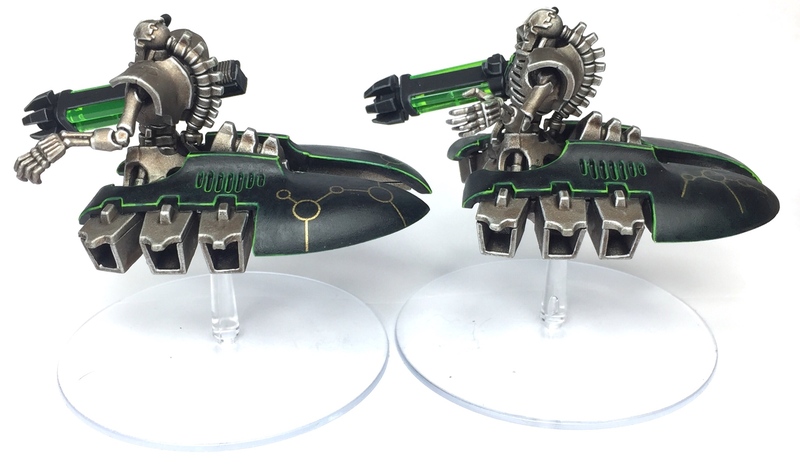 Their basic weapon is very potent and pumps out a good amount of shots per turn which should be key to slaying large numbers of Battle Sisters. 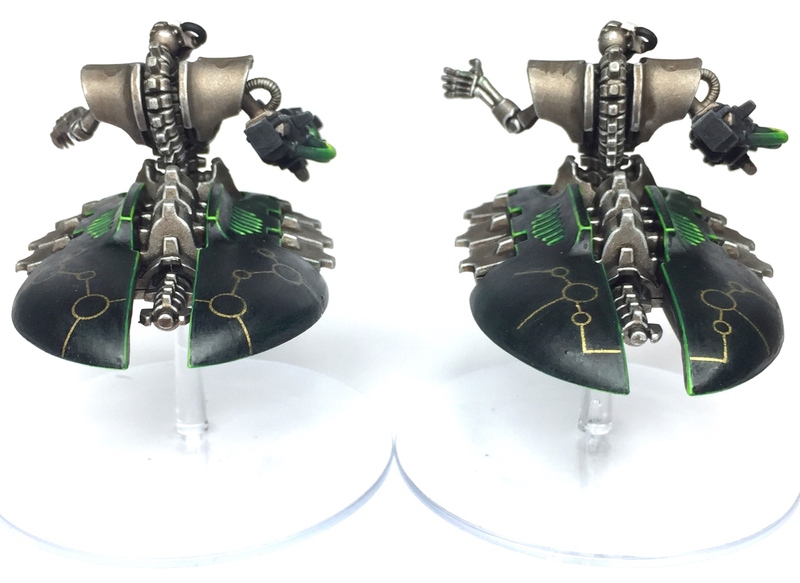 In order to maintain consistency and continuity throughout the force I used the same colours and techniques for the metal areas that I have utilised on my Necron Warriors and Immortals previously. However for the dark green areas I tried to emulate the colours used by Games Workshop for their studio army. I also used the transfers that came with the box for the gold markings on the carapace. Overall I am really, really pleased with how these guys have turned out, I think they look suitably menacing and deadly…. which fits the scenario perfectly. I can’t wait to get them on the table and see how they perform. Purdy! I love what you did with the black-green areas and the gold markings.